Back Office Pro (BOP) offers accurate collection and collation of scientific data to help enterprises make the right move for their product or brand launch when they outsource scientific research services to BOP. Understanding that scientific data is highly crucial for successful product creation and launch, BOP offers resource support to global clients. As part of its research and analysis services umbrella, BOP enables hundreds of clients to get the best of collected data through strategized data churning processes. As a scientific research services company, BOP helps clients make informed decisions. BOP’s team of professional scientific research analysts are adept at data collection and data mining and are also efficient in presenting the data most comprehensively to help clients. Experience in working with cross-cultural teams and ample understanding of geographical influence on scientific research. Clinical Investigator Profiling BOP profiles clinical investigators to assist in scientific research projects using valid and current data gathered through online and offline research. Clinical Data Management BOP helps clients conduct clinical data research and analyze as well as manage it most efficiently to support crucial research processes. Key Opinion Leader Profiling Working closely with clients, BOP prepared KOL databases that help clients associate with the right people from the industry. Medical Content Writing Understanding that medical content writing is crucial and complex, BOP offers exceptional quality reports and medical papers that are appealing, logical, and valid. Physician Profiling BOP’s team of scientific research analysts, are capable of creating physical profile databases that are complete with current and accurate data. Biostatistics BOP uses advanced statistical tools that help accurate analysis of collected data and expertise in analyzing and managing biostatistical data. BOP offers many benefits when it comes to research and analysis projects. With a growing list of satisfied clients who vouch on the efficiency of BOP’s skilled research analysts, BOP keeps adding the newest technologies and tools to offer the best scientific research services to its clients. More than two decades of experience in assisting clients with crucial research needs. ISO certified quality standards to ensure each report is scrutinized and delivered with 99.99% accuracy. Faster Turnaround time and cost-effective resources which are alumni of top colleges and institutes. BOP is a trusted research and analysis service provider. 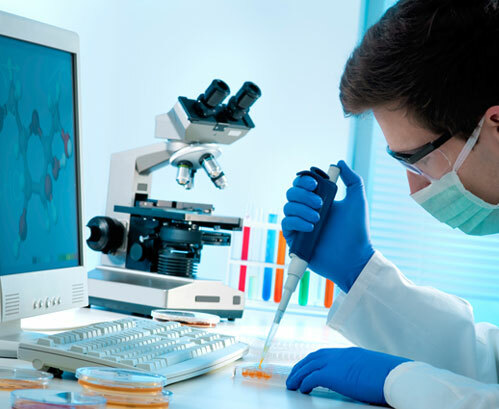 As one of the top choices to outsource scientific research company from India, BOP has helped hundreds of clients over the years. For more information on how BOP’s scientific research services can help your projects, contact today!